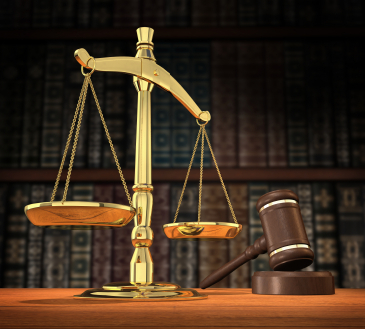 If you experience difficulties managing your debts, you may end up being served with a county court judgement (CCJ). Creditors use the county courts in order to enforce repayment of money they are owed. They’re serious because they stay on your credit report for six years once issued. Once a CCJ has been served, you don’t need to obtain legal guidance. You can contact the court for help with things like filling in forms and dealing with the CCJ paperwork. If you’ve received a notification, you’ll be asked if you want to contest the amount you’re being asked to pay or admit that you owe the money. If you choose to contest the amount, you might be asked to attend a hearing. The judge will issue the order or judgement and the Court will post it to your home address. Once your judgement (CCJ) has been issued, it’s entered in the Register of Judgements, Orders and Fines. As a consequence, the CCJ is also registered on your credit report. You have a very small window of time in which you can act. Contrary to what some people may believe, there is only one way to get a CCJ removed from your credit report. Do: Act quickly. Repay the CCJ immediately, ensuring that your payment will clear within 30 days. You must make the payment in full. If you do this, your CCJ will be removed from your credit report. Once you’ve repaid the debt, the court will issue you a certificate to say you have paid it. You might have to pay a fee for this. Don’t: Pay money to have your CCJ removed, or sign up with a company that claims they can ‘repair’ the report by having the CCJ cancelled. It’s impossible to have the CCJ removed if you pay it more than a month after it was issued; it will be marked as Satisfied, but it won’t be deleted completely. The only exception to this process would be if you didn’t owe the money in the first place. If that’s the case, you’d need to pay money to have the judgement set aside and go to court to prove that the debt isn’t yours. A CCJ can only be removed within the first month, and the only person that can have it removed is you. CCJs are normally issued as a last resort by lenders, and once your debt has reached this stage, you may benefit from professional advice to help you deal with matters quickly. If you need help with problem debts, advice should be obtained before it’s too late.